At Thompsons we understand the leap of faith you make when you choose a professional to support and advise you on your journey for financial justice for the abuse you suffered as a child. Our Survivors Team operates a trauma-informed, client-first approach to claims for childhood sexual, physical and emotional abuse, whether it has been suffered at the hands of an organisation or an individual. Sexual abuse as a child invariably changes the course of a person's life, sometimes with devastating consequences. If you have experienced sexual, physical and emotional abuse by an individual perpetrator and have reported the matter to the police, Thompsons Solicitors can make a claim through the Criminal Injuries Compensation Authority (CICA) on your behalf. We will also consider whether there is any separate civil claim. If you have been sexually abused by an individual(s), we can apply for compensation to the CICA. There is a formal application process and certain criteria which must be fulfilled – the main one being that you must have reported the matter to the police. Even if they do not take the case further, a police crime reference number is all that is needed to lodge the application. In addition to applying to the CICA for compensation, we will also always consider if there is a civil claim to pursue, either against an organisation or directly against the individual(s) who abused you. 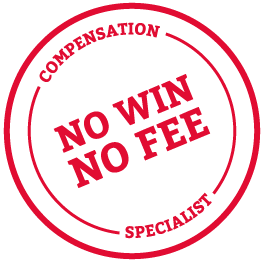 To proceed with a compensation claim against an individual they will need to have money to compensate you such as personal cash or assets. We will be happy to discuss the options with you and provide advice. You won't ever have to pay any fees to us at the outset of a claim with Thompsons and we will only charge you for the work done if your case is successful. Our team of specialist solicitors are here to listen, provide advice and answer any legal questions you may have. All information is dealt with confidentially and with the utmost sensitivity and you will be under no-obligation to take your case forward once you have spoken to a member of the team. We work alongside the leading abuse charities in Scotland and can help you gain access to a range of support services. Thompsons' specialist Survivors Team can help you make a CICA claim for sexual, physical or emotional abuse perpetrated by an individual who was not an employee or volunteer with social services or a religious or membership organisation. We are happy to advise you of your options with no obligation or cost. As one of the leading legal firms in the country, we have offices right across Scotland and can arrange to meet you at a location suitable to you. We can also meet with you alongside your support worker so that you can remain fully supported along the legal journey. We understand how difficult it is for the survivors of physical, mental and sexual abuse to contact a lawyer and to begin and sustain a claim for compensation. That's why we have a dedicated team ready to help anyone who contacts us. Our trauma-informed training means your interests are at the centre of the claim every step of the way.